Future Proof Kilkenny » Blog Archive » How will we Farm without Oil? How will we Farm without Oil? Tues 8 November, 8pm at the Hole in the Wall. We will show 2 shorts focusing on the issues of Food, energy and resilience. The Canadian tar sands oil extraction is a clear message to the world that we’re on the brink of oil depletion. The energy invested on such poor returns along with devastating environmental impacts is just another story in spelling out our desperate addiction to oil. A closer look at the scarcity of oil as illustrated by Richard Heinberg and Colin Campbell give us great concerns about our future without oil. But for many, its all too easy to keep our heads buried in the (tar) sands. So how could we grow our food without oil? 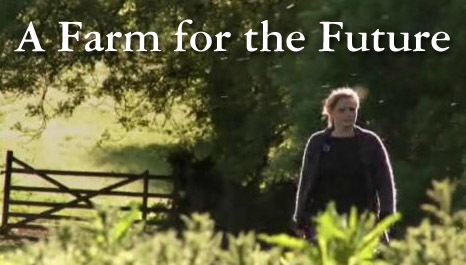 follows film maker Rebecca Hosking as she explores ways of farming without using fossil fuel. With the help of pioneering farmers and growers, Rebecca learns that it is actually nature that holds the key to farming in a low-energy future. Colin Campbell and Richard Heinberg contribute, permaculture, forest gardens, gardening vs farming, biofuels, biodiversity, industrial farming and no-till farming are all covered. It seems certain that present methods cannot go on feeding Britain as they are highly dependent on fossil-fuel. The film concentrates on the necessity to find a new way to feed the nation. This highly praised BBC documentary provides answers in the most unexpected ways. is an animation exploring the idea of community resilience using the metaphor of a surfer to explain how communities can make themselves more resilient in these changing times. This project is supported by The Carnegie UK Trust, Comhar Media Fund and Trocaire.